The sun shone yesterday and we opted for a little driving tour of Lunenburg and Peggy’s Cove. 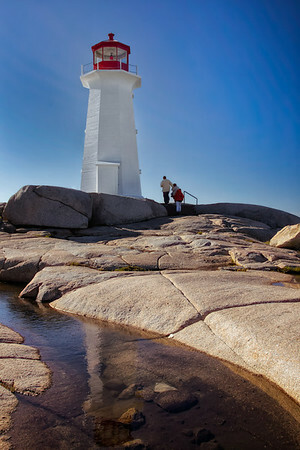 Chris’s father has lived in Nova Scotia but has apparently never visited Peggy’s Cove! The three of us made a day of it in the Vue yesterday and traveled across Nova Scotia from Greenwood to Lunenburg and then followed the Lighthouse Trail up to Peggy’s Cove. We had bright and I mean bright sunshine the whole day making for some really harsh light for photography even with a polarizing filter added onto my lens. 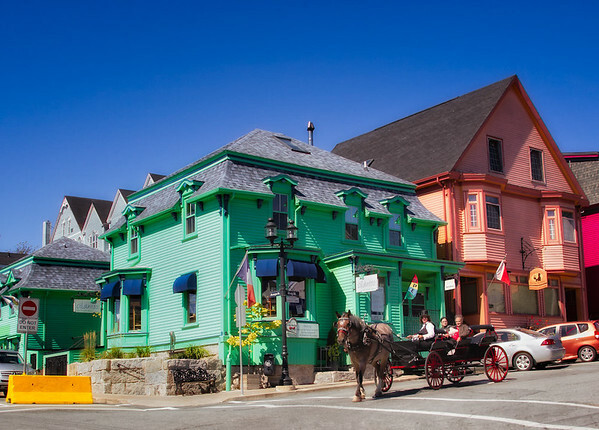 Lunenburg was very colorful and after a short walk along the waterfront, we headed to a local restaurant for some lunch. The usual fare of fish & chips for Chris & I while her dad really enjoyed his seafood chowder with extra lobster added in. We tried to get into some of the restaurants with patio seating because Chris’s dad’s dog, Heidi, was with us but any of the restaurants with patio seating either did not allow dogs on the patio, or there were a ton of stairs to negotiate into the restaurant which made it difficult for her dad. In the end, we decided to put Heidi back in the car right in front of the restaurant we finally decided upon. We parked in fully shaded spot while we grabbed a bite. Heidi did fine with the windows cracked an inch or so and was fast asleep upon our return about thirty minutes later. We saw a lot of rural Nova Scotia yesterday with some really quaint villages along the coast. Very scenic in the summer but I can imagine how much that changes during the harsh reality of winter when weather and surf pound this coastline. It is fabulous to see in the late summer sunshine though. Peggy’s Cove was fairly busy when we arrived by late afternoon. There were at least four articulated tourist buses in the parking lot, each holding about 60 people, so the town and lighthouse were pretty busy. 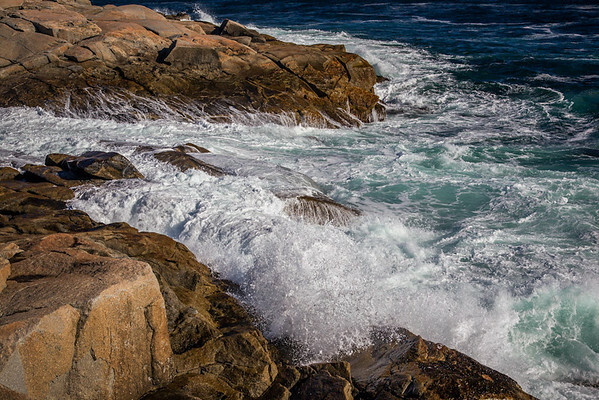 A cloudless sky, lots of wave action on the rocks near the lighthouse, some coffee and a little photo walk around the town for yours truly made for an excellent afternoon. I don’t use my polarizing filter often and it shows in some of today’s photos with uneven color in some of the sky. I’ll pay closer attention next time I use it. I looked for a lot of reflections today and found quite a few but not as many as I would have liked because it was a bit windy. The photographer in me wanted to hang around until sunset but we still had a two hour back to Greenwood so we had to hit the road earlier than we would have otherwise. Sunlight today was very harsh but I’m happy with how things turned out. We stopped to visit the two Swiss Air crash monument sites located on either side of the bay. Both monuments are very tastefully done. Hard to believe it is fourteen years ago now that 229 people and crew aboard Swiss Air flight 111 perished when it crashed into the Atlantic Ocean about 12 kilometers due east of Peggy’s Cove. Enjoy the photos. 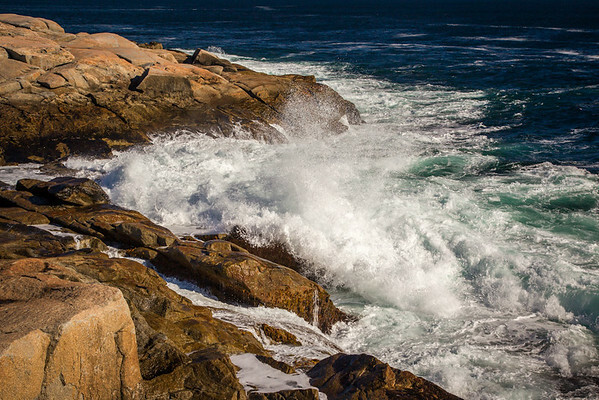 Clicking on any of the photos will take you to my Nova Scotia gallery on Smugmug. This entry was posted in HDR, Lightroom, Nova Scotia, Photography, Photoshop. We loved our stay in Nova Scotia in July. Enjoy! Well, I can sort of understand not getting to all the spots like Chris’ father. 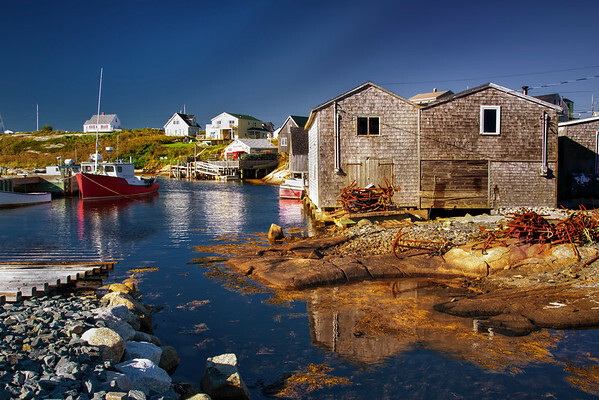 I’ve been to Peggy’s Cove, but have never made to Lunenburg, and I too was born in Nova Scotia, but left in ’67, and only get back there from time to time. It’s tough to see it all, even if you live there. Nice pics. Thanks for the glimpse of what I’ve missed.